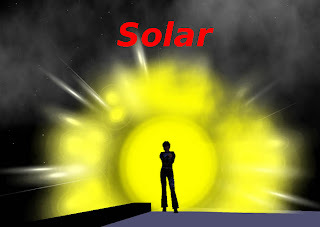 Solar - An effect very similar to "Eclipse", except without the Eclipse! It's just like having your own personal sun. Very big and bright. FireSparks Wearable - This effect is similar to "OnFire", except that it is positioned lower so it makes you appear as if you are walking through fire! "OnFire" makes you look like you are on fire. Oh, FSW includes sparks too. HeartsFog Subtle - A completely new installable effect that emits five kinds of tiny colored hearts that gently flow along the floor. Ideal for weddings or other romantic situations. DanceKit Ultimate and DanceKit Ultimate Auto - Two new collections that include both personal and gang-sized effects in one package. The Auto kit includes emitters that automatically rotate between 14 effects, while the not-Auto kit includes separate emitters for each of the 14 effects.